A-Aaa Mortgage Loans & Investments Inc., is a financial planning company. They even act as mortgage bankers. They have their headquarters in the region of Zephyrhills at Florida. They mainly handle all financial planning for their clients and they also offer crucial suggestion regarding handling financial matters of different clients. 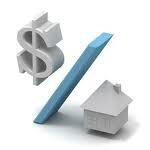 They even specialize in calculating applicable loans or property of mortgage for the clients. As a financial planning consultant firm, they are responsible to provide innumerable workable solutions in case their client faces any financial crisis. They even specialize in arranging commercial or residential loans and investments for interested clients. There are currently 0 consumer reviews about A-AAA Mortgage Loans & Investments Inc available. Share your review. Please take a note that you are about to post a public review about A-AAA Mortgage Loans & Investments Inc corporate office on CorporateOffice.com. This review will be public, so please do not post any of your personal information on this website. If you would like to contact the corporate offices of A-AAA Mortgage Loans & Investments Inc, please use their contact information such as their phone number, website, and address listed above to contact them. However, sometimes staff from A-AAA Mortgage Loans & Investments Inc headquarters do read the reviews on this website.